That day, it was freakin' hot and a lazy bed day. But it's 1pm, (yes, very late to get up and start a day, but it's Saturday) and I have a book discussion to organize. It's Pasung Jiwa by Okky Madasari. I have contacted the moderator, the author and two reading actors for this. But due to my busy schedule, my head went error. I typed the invitation wrong and all. It should be 17pm, but I wrote 7pm. Screwed, wasn't I? But things ran smooth, thankfully! I have Merlyn Sofjan as the speaker, Ade Kusumaningrum as the moderator and I have Rizal Iwan and Angela Ienes for the monologue reading sessions at the beginning and closing. I was happy when people told me that the discussion was one of the best they have ever been into. Me myself enjoyed this one so much. This session, although there was chaotic moment I had made by the way, sort of make me proud of everything I have been through, people around me...and, simply, anything. It was one great enjoyable day to remember. Not only fun moments that we got that time, but lessons and enlightenment. I see how personal experience could bond us all. Differences are made to be celebrated. And a book can do sooo much. It gives us another point of view and mind challenge. 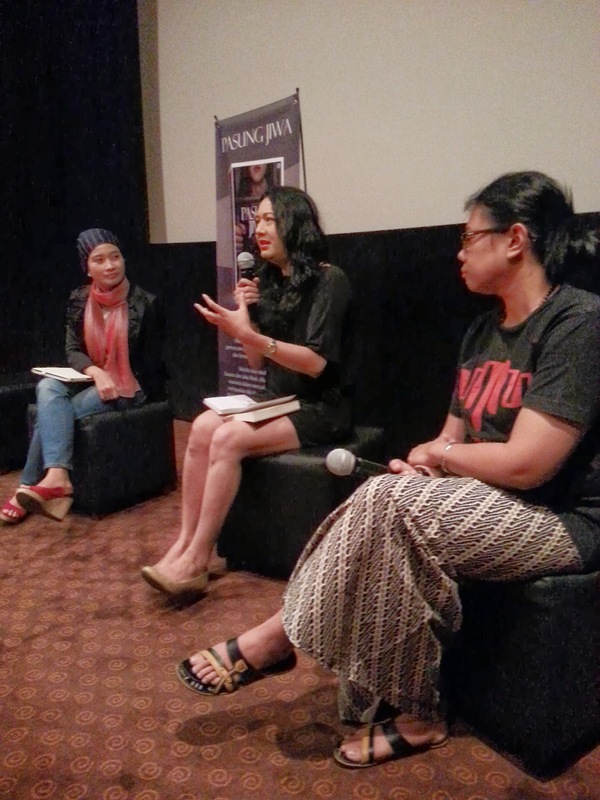 I thank Okky Madasari, the author of Pasung Jiwa, for the opportunity she brings into the community. And of course, there would be lots of good points we might skip if we don't hear the reviews by Merlyn Sofjan. I learn more as a reviewer. Despite the heavy knowledge it might seem, all went awesome! For this, I can't thank more to those who had helped me arrange this event and those who had been willing so greatly to help. Gorgeous people I adore ever since! And guess what? 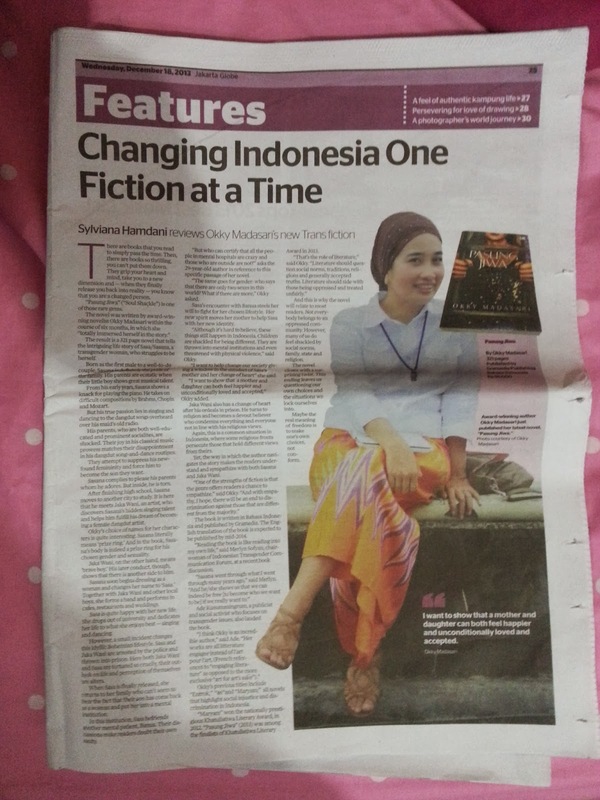 We received one-full page coverage by The Jakarta Globe. 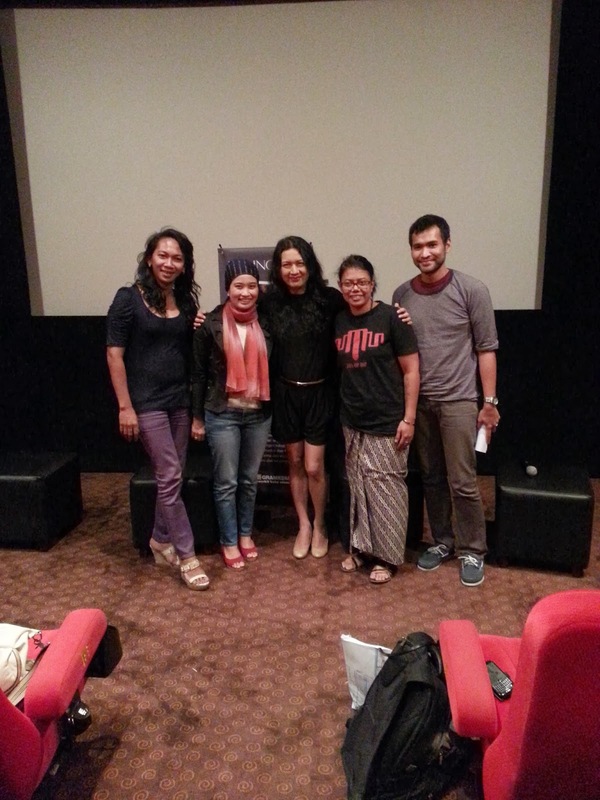 Thanks Sylvie for coming to the event and wrote such a pretty and witty piece. How wonderful that you got coverage for the event! It sounds like such fun and I am glad that it all worked out (typo and all). :) Great job organizing! !